Did you know your restaurant’s specific target audience is on Facebook multiple times per day every day of the week? If you’re not using Facebook ads to reach your customers, you are disregarding one of the most effective advertising channels to reach them. Facebook ads allow you to generate awareness and demand by sharing your offerings with the local community on Instagram and Facebook. You are able to efficiently reach an audience in the few hours leading up to when they make decisions about where and what to eat. You can also boost brand loyalty by providing personalized value, offers and convenience to your top customers. To begin, restaurant marketers have the ability track website visitors back to their Facebook profiles and then target those interested users. This Facebook Pixel technology allows restaurants to target potential customers based on their search data, including which specific web pages the users looked at. 1. Track visitors through every phase of their website browsing journey experience by tracking and targeting users on each individual page they visit. 2. Remarket to everyone who visits your site, or just to people who visit specific pages or take specific actions. This integration of data with social advertising has the ability to radically increase results because marketers can create specific content based on search habits such as if they viewed the breakfast, lunch, or dinner menu for example. You can learn more about Facebook pixels here: facebook.com/business/a/facebook-pixel. Are you currently utilizing coupons? 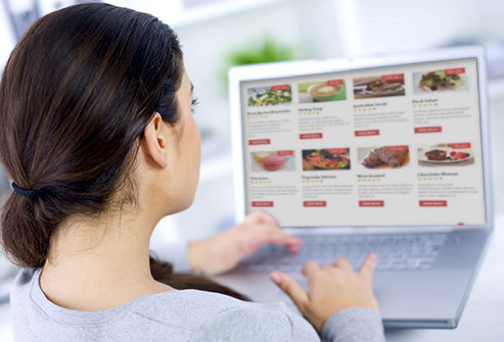 An overlooked tracking opportunity for restaurants are digital coupons. It’s customary for restaurants to use coupons in their email marketing or to post coupon offers on Facebook, Twitter, or their website. The areas of revenue you may want to increase will vary based on your business. Identify custom audiences based on the coupon offer that interested them. Track the coupon through to redemption. Categorize the customers that stopped in to use a targeted offer. Automatically build audiences interested in specific types of coupon offers. It may seem intimidating trying to learn how to advertise effectively on Facebook. There are many affordable digital marketing providers that can assist with getting everything setup and make sure that you are getting the best return on your Facebook advertising dollars. For more information about our company visit Facebook Ad Services. We would be delighted to help out! Look out for our next post Amplify Facebook Targeting Power with Digital Coupons: Part 2 to see useful examples of how restaurants are using coupon promotion to increase revenue.